Hello and Good morning to you fellow readers. On Saturday I was doing this.. But I was feeling a little overconfident, as I ‘hucked’ myself over a small cliff into this..
4 inch laceration, Xrays showed no fractures, a lot of secondary swelling, and small contusions in the eye. 14 sutures, and a lesson in slowing down, avoiding hazards, and realizing I’m no longer 20..?? But the snow was sooooo nice 🙂 The skiing at our local hill in Nelson , http://www.skiwhitewater.com, is awesome, especially with ALL the new snow we’ve been getting. 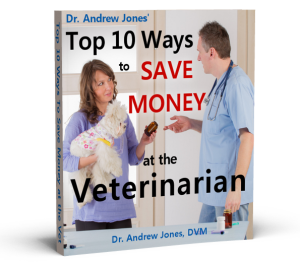 The point here is follow up treatment, and how this can be applied to your pets. 1. Ice, and LOTS of it. Dramatically lowered the swelling, and treated the pain. I was icing it to go to sleep, and again as I woke up. This is the active ingredient in the spice turmeric that has serious anti-inflammatory properties, from acute swelling, to chronic inflammatory based diseases, such as arthritis, allergies and cancer. I dosed myself with 2000mg every 12 hours, and not only have I seen the swelling come down dramatically, I also feel no real discomfort, so it is my source of pain relief. A typical animal dose is 100mg/ 10lbs twice daily for allergies, arthritis. P.S. We have hundreds of fabulous testimonials from dog and cat owners using my supplements- Thank you for that! We are seeing some great responses for arthritis and allergies. Many cat owners are saying it is proving to beneficial for stopping recurrent urinary tract disease. P.P.S. 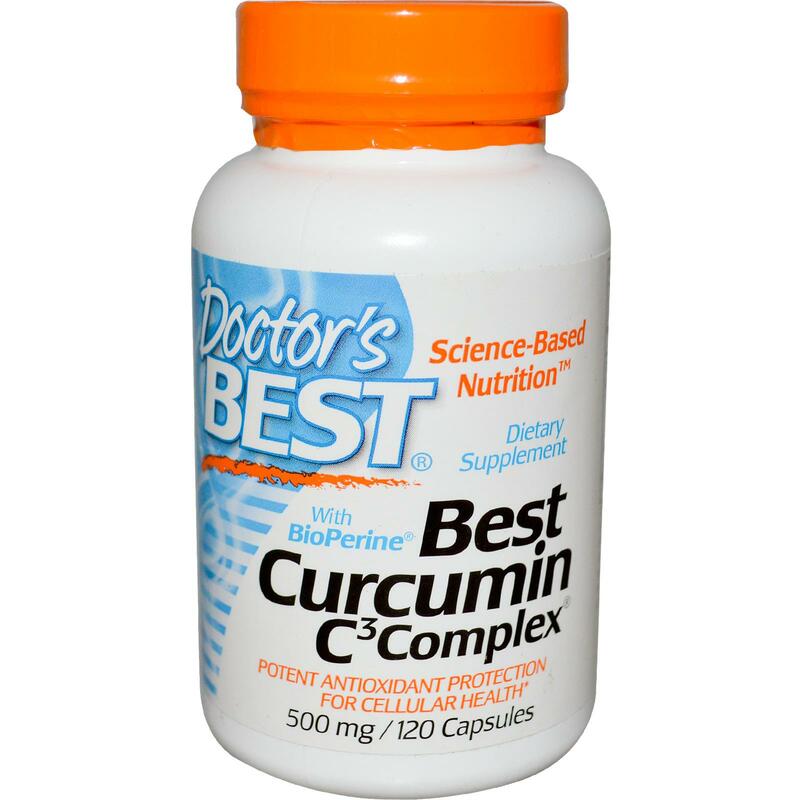 I am in the process of reformulating the supplements, and I have added in the curcumin. Great response from 2 seriously arthritic dogs. Look for the *NEW* formula to be out soon. So sorry to hear of your accident! Best wishes for a speedy recovery, and yes, we all wish we were “20” again!Try vitamin E too. Hello Dr.Jones ,,so sorry to see and hear about your accident.I am glad you keep us posted.Take care and get lots rest. Keep a single dose of homeopathic Natrum Sulphuricum in mind – great for head injuries. Ruta Grav is also likely, since you smacked your bones nicely! Very sorry to hear about the accident and I hope for a speedy recovery. Glad you made it through your mishap. What you endured was bad enough and could easily have been a lot worse. You’re right about not being 20 anymore. When I was a boy of 9 y.o., I would think nothing of jumping the three steps from my grandmother’s veranda to the front walk below in one leap. She would grimace in pain at the sight. Today, as my arthritis flairs, I am the one grimacing at the antics of neighbourhood youngsters. So thanks for the Curcumin recommendation. Glad to hear that your ok. Here’s to a speedy recovery. Please take care of yourself !! “Doc” You are very Lucky! The cheek cut is Nasty and hopefully will heal without to bad of a Scar. However as I look at the picture I see your Temple has abrasions from a good Whack. That could have ended Your life or cognitive ability, which I appreciate very much of You. In the 70’s my gang helped create Freestyle Skiing. Even back then I used to tell people it is 1 thing to do a single Flip, Yet when You attempt a Double or Triple the Physics change drastically. Now that I am more than 5 Decades My body is Telling Me I should never have done this craziness. Yes People Cheer when You complete and When You don’t they go OOOHHH. You get to live with the OOOHHH. Take care of Yourself a lot of people and PETS, need You around for many Years. 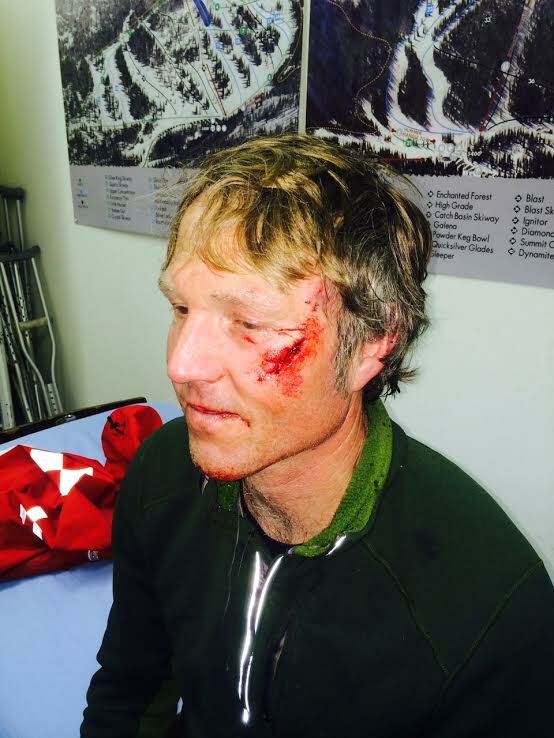 Even though this happened on Saturday go to a plastic Surgeon to replace the Frankenstein Stitches. Stiches can cause damage that is as bad as the injury being repaired. Like a single thread through the Wound taped at the ends, avoiding the individual Loop Stiching which is very invasive on the Face. Good Luck to You, DOC ! Sorry to hear of your accident…it looks terrible, but could have been much worse. Please heal fast, take care of yourself and behave! WOW, Dr. Jones! Those are some nasty looking scratches! Sorry to see you all beat up like that! Hope you recover quickly! ARNICA is great, taken and put on wound, once it heals!! I intend on being slightly more cautious..Looking forward to a speedy recovery, and getting my ‘real’ book published. Hi Dr Jones! Sure glad you only sustained minor injuries. It sure could have been a lot worse. Yep, getting older. We can’t do all the things that we used to do. You sure gave it the good ole college try. You take care and take it easy. You do not look pretty but you are on the way to healing. I lost my dog of 16 years of age and am very very sad. WOW! Dr. Andrew, please be careful! I am sorry that you had an accident, but it surely could have been worse! Hey, we love you down in Alabama! Take care for yourself and feel better soon. Oh my goodness……as I look at that laceration, I’m thinking how lucky you are that it missed your eye. I’m so sorry for the mishap but very thankful it was not more serious. Hope you heal quickly. In the future, PLEASE resist the temptation to try ‘crazy’ things. I’ve counted on your advice for several years, for my longtime loving dog, until her death 2 weeks ago from a rapid progression of kidney disease. In several months, I’ll get 2 puppies and I will once again be strongly relying on your advice and supplements to promote a long healthy life for them, as well. Thanks for all you do. Thanks Carolyn- yes I do intend on being a little more cautious. Hello Dr!!!!! So glad you are well considering your fall and your injuries. Thank you for sharing it with us. Take care !!! 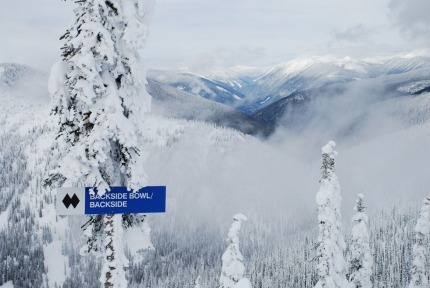 HEY, BETTER LOOK FOR THE SMALL SLOPES FROM NOW ON, WE CAN’T AFFORD TO LOSE YOU. I AM NOW 82 AND BELIEVE ME I AM CAREFUL OF EVEN WALKING! So glad you are alright!!! That’s great that you’re adding the Curcumin to your supplement. It works so well already, and now it will be even better. 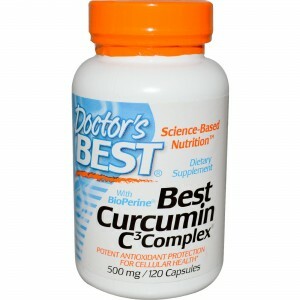 Thanks Deena- the curcumin is really working well . Ouch! That is why I don’t ski, LOL. Glad you are okay. Well .. it is true,, although I always advocate to keep a young mind set, and don’t lose your goof and all that.. we who are not 20 anymore simply are not 20 anymore.. LOL!.. but oh boy it is tempting to go ALL OUT and have that fun again hey! My back is in spasms right now,no worries, I own an acupen on Korean hand acupuncture points.. works like a charm ‘in a pinch’ (so to speak,, yes, pun intended here!) I just must’ve slept wrong, to think, sleeping can cause injury really irritates me, hewh, but, my 50 year old joints doth protest when I try to lift something too heavy or over do things. I have Turmeric as well as other things in my kitchen, have also used Genacol (Collagen) I buy Turmeric in bulk from health food store and put into caps at home. gosh , I am so glad you are OK and healing up smoothly. Next time limber up good before dusting the snow banks with wild abandon! I have learned Qi Gong, and am back at it, it helps immensely,, the Soaring Crane forms are awesome if you can find someone who teaches that in your area. Is like Tai Chi but slower and with directive breathing is a pretty powerful means to keep limber. The Tibetan Five motions (also called the Five Rites) are excellent as well, basically five yoga motions, helps me a lot to get thru the day. Key is to do them slowly tho,, some vids I’ve seen people doing those fast, but slowly is the way it should be done correctly. Sending healing thoughts your way toward a smooth and thorough recovery !! Heal up, get limber, and go play in the snow again!.. just not with the enthusiasm of a stunt man tho.. BWAHA! 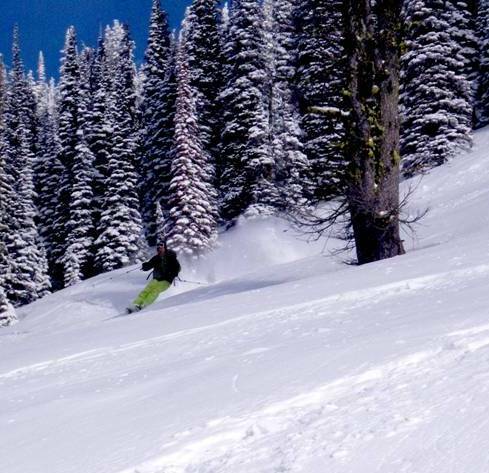 snow plow is more my speed when I used to ski .. hee hee.. It was fun while it lasted I’ll bet. Awesome place. More first aid advice just in case you have not heard it used, Cayenne pepper or even black pepper for deep gashes too to stop bleeding fast and heal them with little scarring, having seen it first hand. Great for shins where stitching it is not possible..
All the best from Aus. Hi, Andy! Praise God you’re OK! Add to your first aid kit a roll of clear package tape, the dermatologist I worked for in the ’80’s relied on this for closing wounds and not leaving a scar, and I tested it myself when a Bald Eagle bit my cheek while I was relieving her of a broken egg she could not lay. The doc’s instructions were to dry the wound with a clean towel, do not wash it or medicate it, approximate the edges and cover with package tape to hold the skin in place, leave the tape on undisturbed for three days, change as needed. Today I have no scar from the deep bite marks, I scared my biology students at the U of O with the ugly looking mess on my face, taught them the technique. About turmeric, I put a big heaping teaspoon in my morning smoothie, I don’t do capsules because the real thing is so much cheaper. Like gran said, you know those “-ritis” brothers, and Arthur is the worst one! Father God, please completely heal Andy in every way, physically, mentally, emotionally, spiritually, financially and socially, and give him a long happy wonderful life with family and friends and FUN every day. Me? I’m glad you still have FUN! NEVER stop, vitamin F is some of the best part of life! And, aside, 5000 IU of fish oil (cod liver oil is what is in the cheapest at the dollar store, so 5 bottles of 30 will see you through a month) heals skin, nerve tissue, brain tissue (even heals Parkinson’s), and will help you heal faster! Hey Doc., I think you need a new Crash Helmet, one that is harder than your head. But gland it was not worse. good luck on your next run.